"The Best Salt on Earth!" 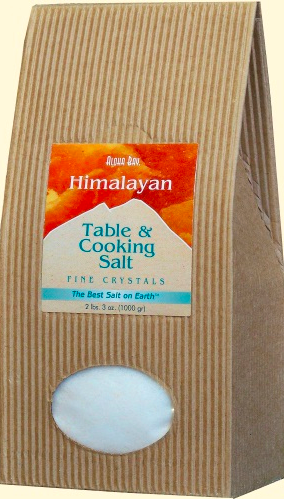 Gourmet cooks recommend the exquisite taste of our wholesome, natural, pink Himalayan crystal salt. Bio-energetically "alive", this salt contains the same 84 key trace minerals as found in our bodies, so it is easily metabolized. Hammer-crushed and additive-free, this salt is pinkish in color due to the minerals it contains. The items below are fair trade products from the Salt Range region of Pakistan.